One of the most common complaints among dental patients is tooth sensitivity, which can cause discomfort when consuming hot or cold foods and beverages. In fact, the Academy of General Dentistry estimates that at least 40 million American adults have experienced discomfort from sensitive teeth. 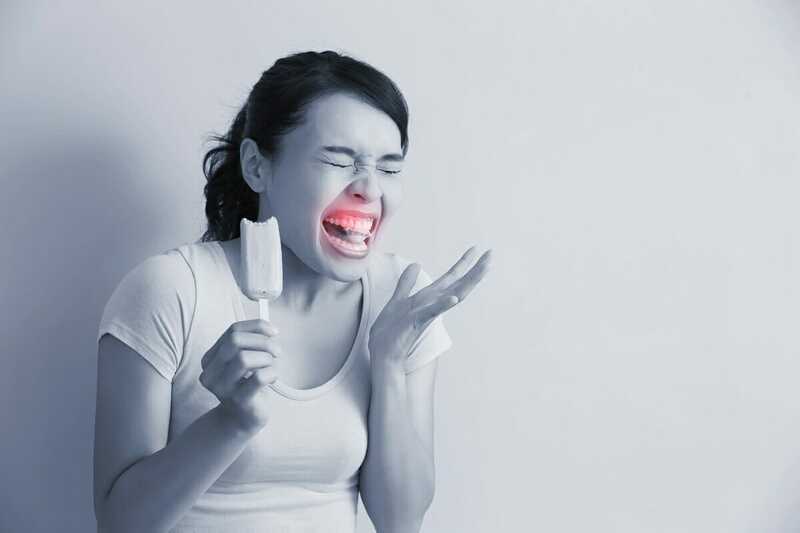 Dr. Ali Mansouri and Dr. Shery Mansouri of Serene Dental Center would like to review some of the most common reasons for tooth sensitivity. Tooth sensitivity occurs when the dentin — the layer of tissue containing the dental pulp — becomes exposed. Normally the dentin is covered by a protective layer of enamel, but if the enamel wears away, it exposes hollow canals inside the dentin that connect to nerves inside the tooth. When these canals (or tubules) are exposed, pain can occur after consuming hot or cold beverages or simply by the teeth coming into contact with cold air. There are a variety of factors that can cause tooth enamel to erode. Vigorous, forceful brushing can wear down the tooth’s surface. Clenching and grinding of teeth can aggravate the surrounding ligaments. Excessive consumption of foods or beverages that are high in acid can also cause enamel erosion. Chronic acid reflux and bulimia can also lead to erosion. Gum recession can also expose the tooth root surfaces, which tend to be sensitive. One of the steps you can take to reduce tooth sensitivity is to use an ADA-approved desensitizing toothpaste, which protects exposed dentin. Avoid tartar-controlling toothpastes and sodas, which may exacerbate sensitivity and discomfort. When brushing, try to brush gently instead of scrubbing too vigorously. If you experience sensitivity for more than three or four days, you should be evaluated by a dentist. Be sure to explain to the dentist when you started experiencing sensitivity or pain and try to describe your symptoms thoroughly. You could have a serious problem like a cavity or abscess and not know it yet. In the case of a cavity or abscess, prompt treatment is necessary to preserve the health of the tooth. If the problem causing sensitivity is not that serious, your dentist can recommend other solutions to reduce sensitivity, such as applying fluoride treatments, topical varnish, or sealants to the teeth. To schedule an appointment with our Irvine dentists to discuss tooth sensitivity, please call or email our office today.